The ancient musical instrument known as a Frame Drum has many different names and varieties of style and size depending on the culture in which it was developed. 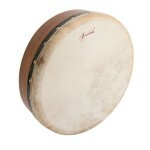 Here at Drummers World you will find the Bodhrán, Bendir, Deff, Kanjira, Pandeiro, Riq, Tambourine and Tar, among others. 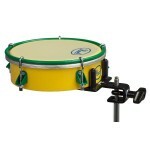 Frame Drum accessories are also listed for your shopping convenience. 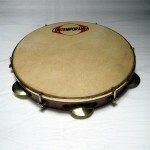 The Deff is a frame drum of Middle Eastern origin. It features a wood mosaic decorated frame and a fixed goatskin head. Available in 18" size. Bendir 14 or 18 inch diameter. Rosewood construction with tunable goatskin. A traditional instrument of North Africa, more specifically in Morocco. A snare adds to the liveliness of these drums. This Tar has a sheesham frame with goatskin head and has tuning bolts inside. 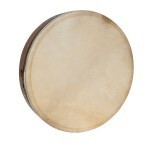 The drum is typically played with the fingers in the style of a deff. Available in 14", 16" and 18" sizes. 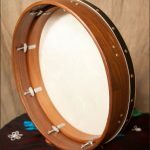 This 18" x 3.5" rosewood bodhran has inside tuning and two cross bars. The solid rosewood frame has a fixed crossbar for support. The bolt tuning is hidden on the inside of the frame. 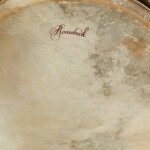 You will love the sound of the natural goatskin head. Easy and fun to play. The enclosed product insert will give you the basics to get started. Includes a tipper and a tuning wrench. 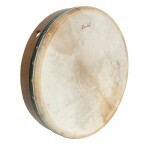 This fixed head bodhrán measures 18x3.5 inches. 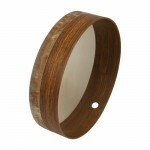 It features a rosewood frame, goat skin head and an inside cross bar. It is non-tunable, lightweight and very affordable. 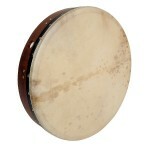 This fixed head bodhrán features a rosewood frame body with an inside crossbar and a goat skin head. 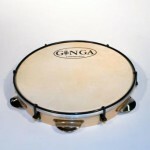 The non-tunable drum measures 14x3.5 inches. 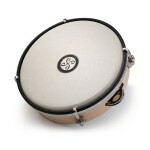 It's a very lightweight, durable and affordable bodhrán. This lightweight, 16-inch, sheesham Tar frame drum weights just 1 1/2 pounds. The shell is just less than 1/4 inch thick. The 4 inches deep frame provides a full rich sound. You will love the sounds from the fixed natural skin head. 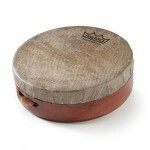 Great for a drum circle, or to accompany dancers. 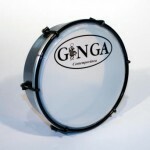 Fun for beginners or experienced drummers. 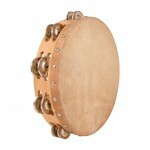 This drum is typically played with the fingers in the style of a deff. 16-inch diameter x 4-inch depth. 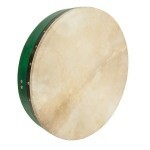 Perfect for an Irish setting, this fixed goat skin head bodhrán in emerald green is 18x3.5 inches with an inside single bar for grip. It is non tunable, lightweight, durable and affordable. 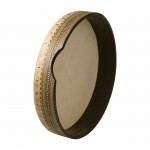 This 18" x 3.5" sheesham bodhran with inside tuning has two cross bars. 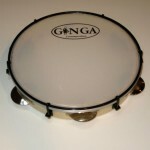 A head of double goatskins is mounted on a solid rosewood frame. The frame is fitted in back with a fixed crossbar. Bolt tuning is hidden on the inside of the frame. Includes a tipper and a tuning wrench.